I’ll admit something: I’ve been living in this sweater since it arrived a few weeks ago. In fact, you’ve probably seen it here, here and here already. 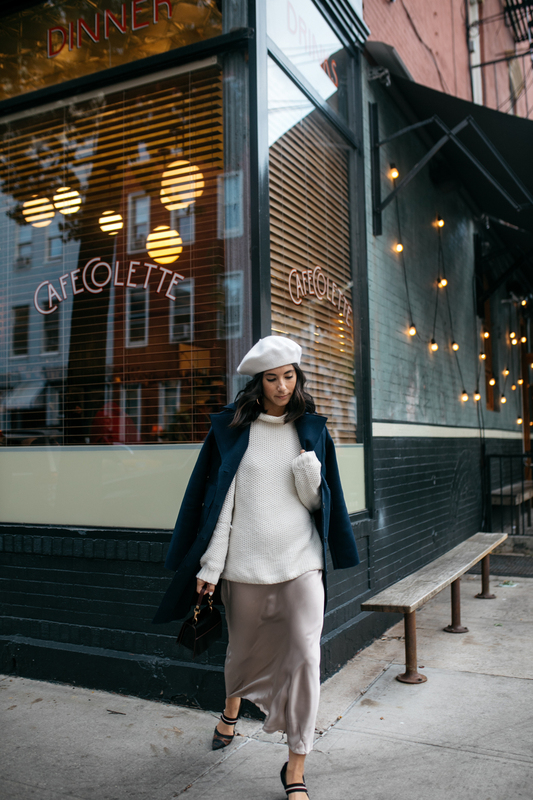 It’s the perfect––all purpose, cozy mock neck sweater by AETHER Apparel, a company who knows a thing or two when it comes to luxurious basics — and I can’t get enough. Is anyone else guilty of this once the seasons change? 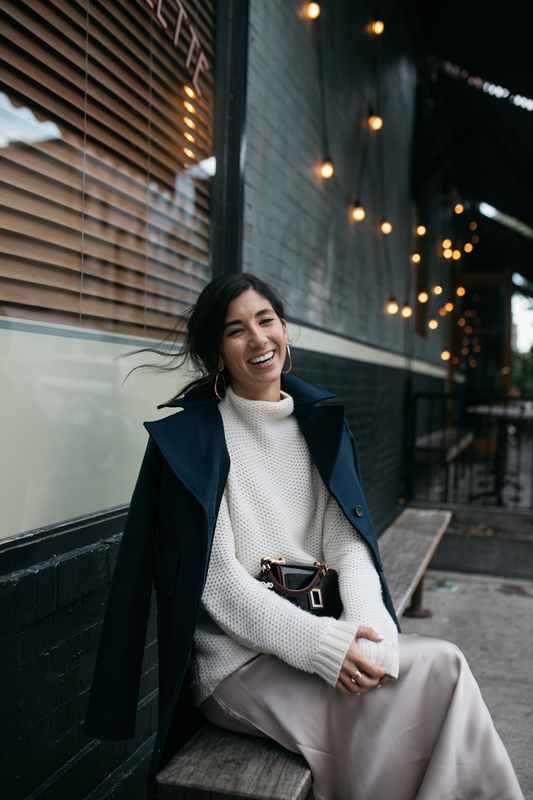 There’s one sweater that you just can’t wait to put on when you’re heating up coffee in the morning, and it just happens to be the sweater you want to lounge all day in with your jeans. Come happy hour, it also just happens to match a similarly toned champagne silk dress you have, so you shrug your shoulders in quiet (but chic) defeat and you slip it on, yet again. 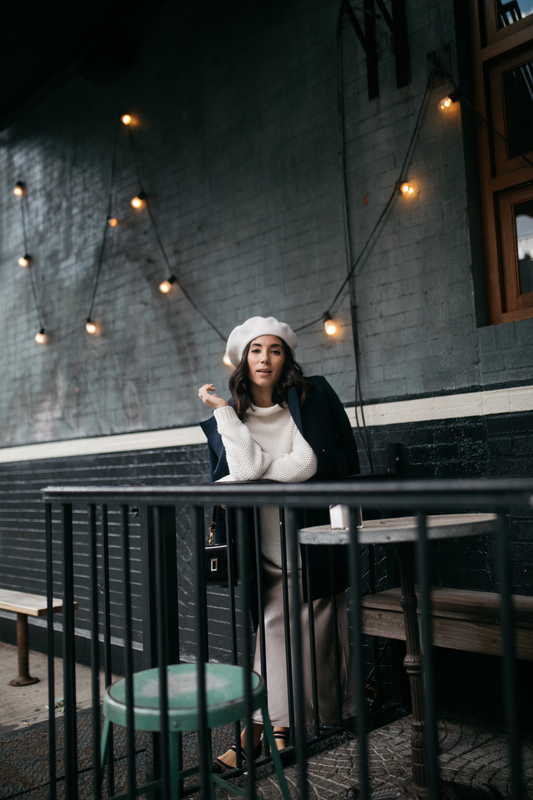 I recently hopped out to Williamsburg for dinner and a few events with friends and loved how this look came together. 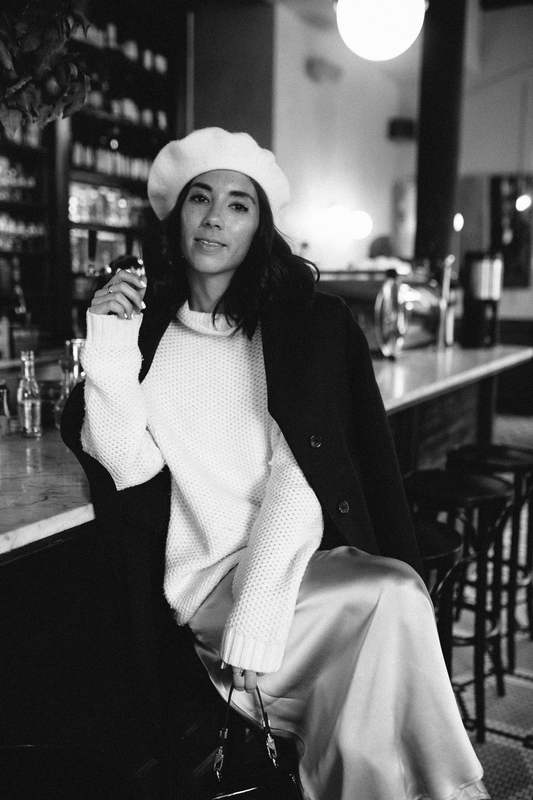 I’ve always been a fan of the idea of pairing cozy knits with evening fabrics like silk, satin and tulle — the juxtaposition is somewhere between “I’m ready for another round” and “I’m ready for Netflix now” which is basically my MO in life: torn between going out and staying in. Welcome to your 30s. 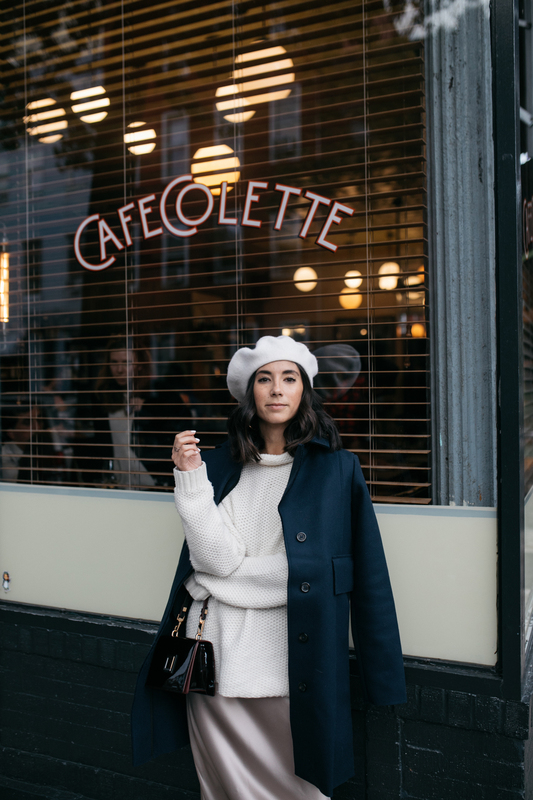 This coat is also by AETHER, and until recently, I didn’t realize how much I really needed a navy blue winter coat in my arsenal — it’s refreshing from the typical black and camel — perfect with off-white tones, like cream, champagne and taupe. We’re already planning our holiday trips now (back to Reno for Thanksgiving and Spokane for Christmas) and I can tell this coat will be among the first packed. I’m wearing a size small here for size reference and it has just enough room to wear a thicker, cozier sweater underneath, but would also work perfectly if you wanted to layer a few base layers underneath (thinner turtlenecks for instance), which is usually what I do once the temperatures get really frigid here in NYC. 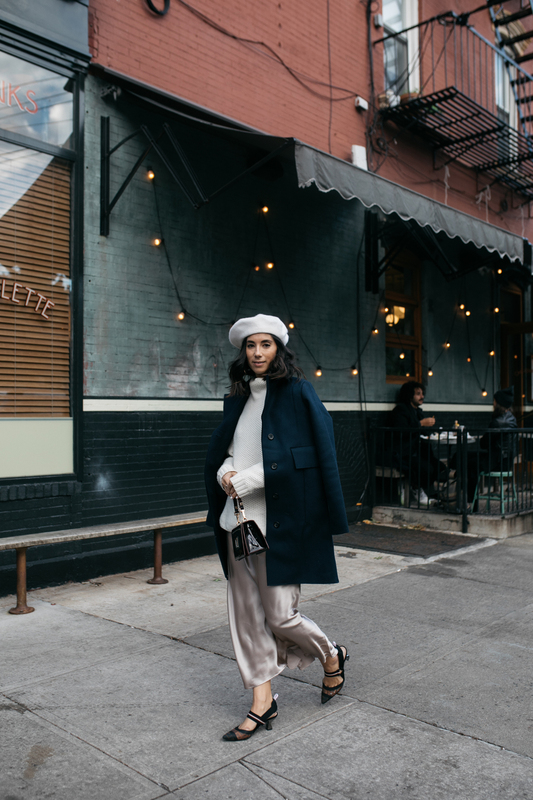 Of course, as any New York woman may be wondering, the construction is still slim fitting, so you don’t have to worry about losing your shape while layering up. Are you guys planning your holiday trips back home yet? Where are you off to? 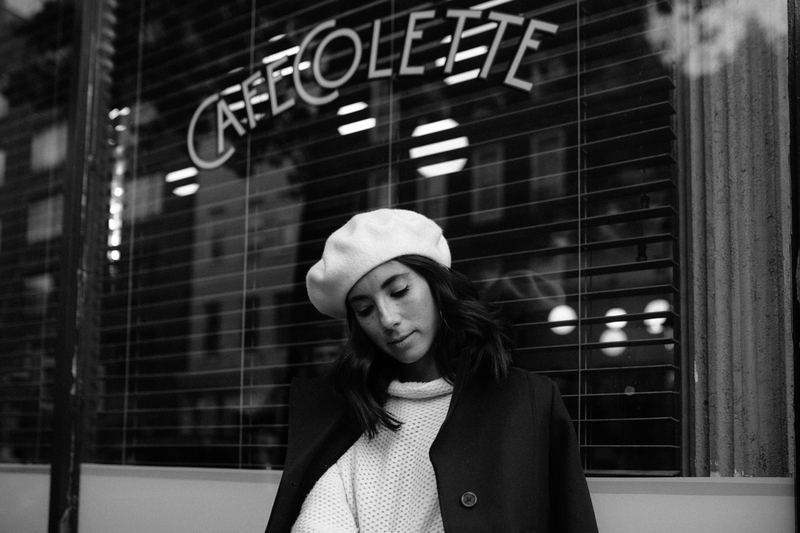 In case you need some warmer layers ahead, I’ve rounded up my favorite pieces from AETHER below. This post was in collaboration with AETHER. As always, all opinions and styling are my own. Thank you for supporting all This Time Tomorrow collaborations! 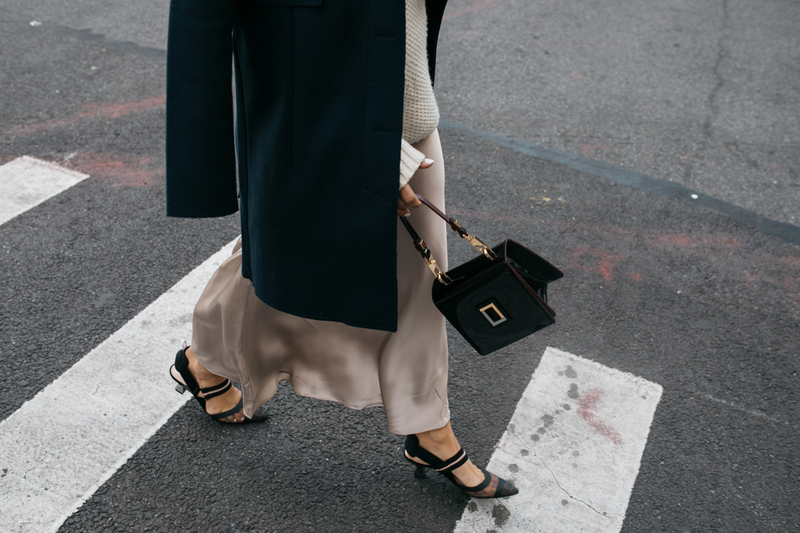 Style and aether, fall outfit, new york city, nyc, sponsored. Based on everything you said about this sweater and brand, I think I am hooked! Totally checking them out more!